Responsible for maintaining a clean, safe, and comfortable facility at the casino for our customers and employees. Maintains clean and comfortable conditions at the casino including the Convention Center and outside grounds. Services, cleans, and supplies restrooms. Gathers and empties trash and ashtrays. Cleans building floors by sweeping, mopping, scrubbing, or vacuuming them. Follows procedures for the use of chemical cleaners and power equipment in order to prevent damage to floors and fixtures. Mixes water and detergents or acids in containers to prepare cleaning solutions, according to specifications. Strips, seals, finishes, and polishes floors. Notifies management concerning the need for repairs. Identifies and reports any irregular, hazardous or unsafe conditions. Cleans windows, glass partitions, and mirrors, using soapy water or other cleaners, sponges, and squeegees. Dusts furniture, walls, machines, and equipment. Assists other floor personnel on an as needed basis. 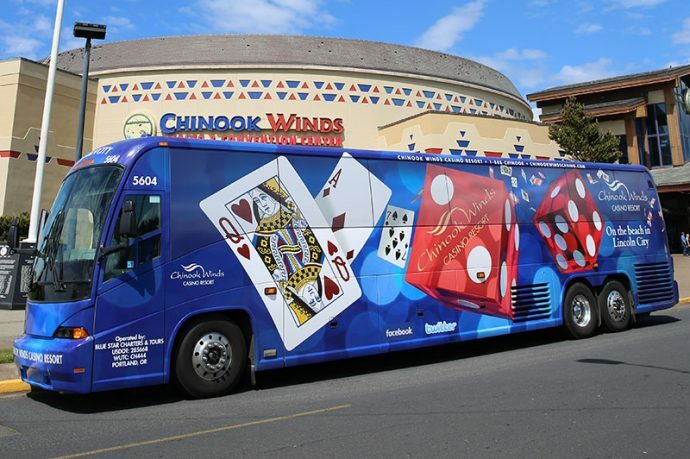 Maintains general knowledge and provides information to guests of Chinook Winds Casino Resort events, programs and services. Provides input or recommendations for improvements and changes in processes or services. Communication Skills- Ability to communicate effectively with others verbally. Customer Oriented- Ability to take care of the customers’ needs while following company procedures. Enthusiastic- Ability to bring energy to the performance of a task. Interpersonal – Ability to get along well with a variety of personalities and individuals.